by the giants of the microprocessor industry, come to dominate the microprocessor market, in which 99% of 16 billion annually manufactured microprocessors are RISC. 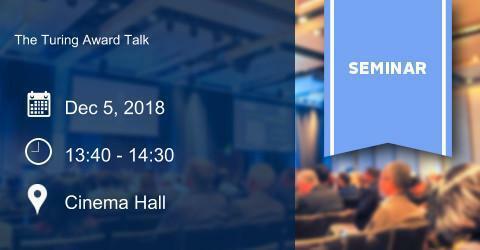 We will explain the basics of computer architecture and show how RISC, which can be considered as a design philosophy, pave the way to unprecedented progress in microprocessors in the last 30 years, which power not only our servers, desktop and notebook computers, but also embedded systems, IoT devices and thus enables the ongoing industrial revolution: Industry 4.0.
data and communication security, privacy in biometrics, security and privacy in data mining applications, embedded systems security, and distributed systems. He is a member of IEEE, ACM, the IEEE Computer Society, and the International Association of Cryptologic Research (IACR). He is currently an Associate Editor to IEEE Transactions on Computers and Journal of Cryptographic Engineering.